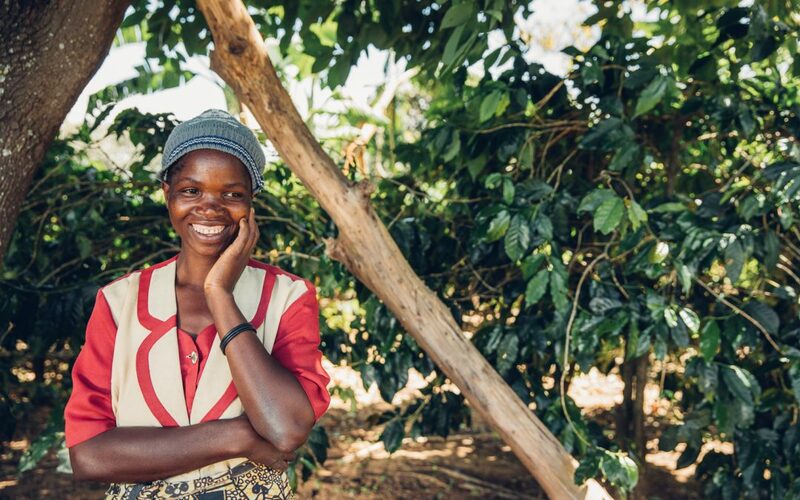 Hamburg, Germany – April 4th, 2018 – One of the most impactful ways to promote sustainable development in coffee households and producer communities is to drive change for women! Strengthening their rights, supporting their participation in household decision-making, incorporating them into farmer organizations, and empowering their knowledge supports families and communities to grow stronger. Thus gender programming also needs to be incorporated into any strategies for coping with climate change. Most of the coffee production worldwide is not mechanized. In many regions and in particular in most of Africa, women can do up to 90% of the field and harvest work. A survey from the International Trade Center indicated that this is a ‘typical’ role for women in the coffee industry globally. They are rarely involved in higher value-generating activities. Income from their family’s coffee field is mostly channeled through the men without a common decision-making process at the household level (without the involvement of the other family members). Many coffee regions are facing negative effects of the changing climate: higher temperatures and water stress lead to lower productivity and often also inferior product quality. Not only is it getting more demanding to cope with effects on the crop, women in rural areas also face additional challenges. Besides working in the field they are responsible for most household related tasks. E.g. women in rural areas of Southern Tanzania spend up to three hours per day for fetching water and for collecting firewood. At the same time water is getting scarce. Deforestation makes it more difficult to collect firewood. Introducing practical and time-saving technologies such as clean and efficient cooking stoves, solar energy and domestic rainwater harvesting are addressing women’s ‘time poverty’, increasing the household’s members’ health, helping them to save money and protecting the environment simultaneously. However, incorporating the gender approach in climate projects, therefore, goes far beyond climate-smart practices on the household level. The saved time allows women a more frequent participation in training activities and becomes drivers of climate-smart agronomy practices. Additional programming efforts include the promotion of joint decision taking with a long-term vision as well as the stronger participation and integration of women into management processes and structures in coffee farmer organizations and cooperatives to strengthen operations, transparency, networking and service orientation to their members. The initiative for coffee&climate is working with coffee producing families in Central America, Brazil, Tanzania, and Vietnam. It prepares coffee households for the challenges of climate change and strengthens their ability to adopt better production and resilient livelihood strategies. Enhancing the understanding of farming as a family business with specific female coaching have proven to amplify our project effects. And when it comes to climate-related actions the impact on the situation of women, on project results and adaptation to and mitigation of climate change is even receiving a further boost. By that, we close a significant gap in sustainability programs. The initiative for coffee&climate is, therefore, expanding the gender-focused climate component. It invites more private partners to join in and team up for further developing and spreading the sector knowledge for effectively and efficiently addressing climate change. Currently, there is a great opportunity to leverage every invested contribution by three with the support of public partner funds from the Swedish International Development Agency. Act now and get in touch!